A police report filed by Magic Leap in October alleges that the company was falsely billed for more than $US1 million. The report alleges that an outside recruiting firm, which worked with with Magic Leap’s Senior Manager for Talent Acquisition, collected fees for 39 hires it had no involvement with. The incident and investigation, which are ongoing, illustrates the turmoil at the fast-growing company. Magic Leap’s allegation of theft, which has not been reported until now, is one of several strange problems that have bedeviled the young company, whose innovative technology is a subject of both fascination and scepticism among industry insiders. 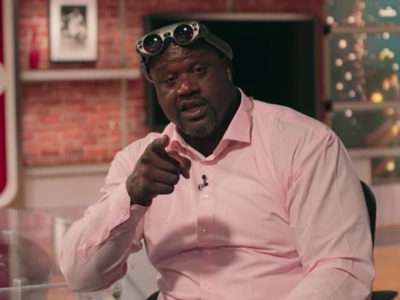 Magic Leap’s augmented reality technology has dazzled a string of early users, including celebrities like Shaquille O’Neal and Steven Spielberg, who have been granted access to its Florida test lab to try prototypes. The glasses produce a hallucinatory effect by superimposing advanced computer graphics onto the wearer’s view of the real world. But the company, led by CEO Rony Abovitz, has been plagued by missed deadlines and executive departures. 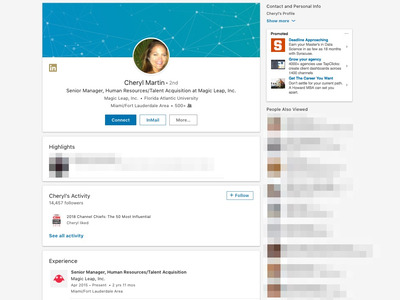 The allegation of the stolen money, involving an HR manager and a recruiting company, follows another incident involving the company’s head of security and allegations of extortion. Together, the incidents, deadlines, and departures raise questions about Magic Leap’s ability to timely deliver a much-hyped technology that has attracted billions of dollars from backers including Google and Alibaba. Magic Leap’s total of $US1.9 billion raised since 2011 makes it the most well-funded startup in the AR space. The next most richly funded AR startup is Pokémon Go parent Niantic, which has raised $US225 million. Those billions have funded huge and rapid growth for a company that now has offices in Los Angeles, Mountain View, Seattle, Austin, Dallas, the UK, New Zealand, and Israel, according to its website. That’s in addition to its new headquarters in Plantation, Florida,a former Motorola facility, it moved into in 2017. 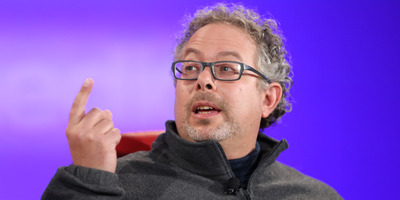 From its beginning in 2011 with a few employees in a room, Magic Leap has swelled into 1,400-person organisation, albeit one that has not yet launched a commercial product. The rapid growth may have created the opportunity for alleged misdeeds. 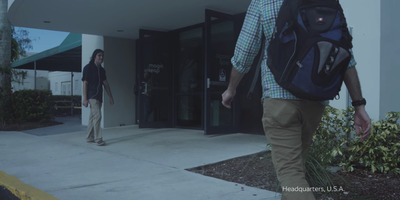 Magic Leap filed an incident report with the Plantation, Florida police department in October 2017 which alleged that an outside recruiting firm falsely claiming to have filled jobs at the company and collecting the fees. The report describes an outside hiring agency called the Hampton Group, that claimed to have worked alongside Magic Leap’s Senior Manager for Talent Acquisition at the time, Cheryl Martin. According to the October 19 police report, with Martin’s help, the Hampton Group invoiced Magic Leap for more than $US1,000,000 in recruiting fees for 39 hires from August 2015 to July 2017. After an internal investigation, the company found the Hampton Group had no involvement in any of those hires, a Magic Leap auditor told the police. Magic Leap wants to press charges, according to the police report. The investigation is ongoing, said a person familiar with the matter. Martin did not respond to requests for comment and declined to comment through a representative. In a conversation with Business Insider, Ann Smith of The Hampton Group said she could not remember the events because she had recently taken medication, and later declined to comment through a representative. Magic Leap/RecodeShaq said he visited Magic Leap and begged to be involved in a video released by Magic Leap last month. But that isn’t the only allegation of internal turmoil that Magic Leap is dealing with. On Wednesday, the company filed a pre-emptive lawsuit against Todd Keil, its senior director of global security, who it alleges is trying to extort millions of dollars from the company under the guise of whistleblower lawsuits. You can read the entire complaint at The Verge, which first reported the lawsuit. In the complaint, Magic Leap makes several explosive allegations, including that Keil paid $US250,000 above market rates to hire an Israeli security vendor that he personally knew. Magic Leap also says that Keil has claimed the company may have intended to reverse-engineer Microsoft’s Hololens, a competing augmented reality hardware device – a claim that Magic Leap denies. The lawsuit also provides a revealing window into the level of mistrust and paranoia at the company, which has struggled to combat leaks, describing an effort to spy on Keil with a digital camera. Magic Leap’s VP of Physical Security “wanted to assess whether the security cameras in the newly opened Florida facility might be vulnerable to manipulation or disruption by handheld personal devices, including digital cameras,” according to the lawsuit, so he stuck a digital camera in the room he shared with Keil. A photograph of a Magic Leap prototype was published by Business Insider in February 2017. “As all of you know, certain of our confidential information has recently leaked to the media. This constitutes not only a violation of our policies and procedures, but could also potentially violate various federal criminal statutes,” Abovitz wrote in a memo to employees the week after Business Insider’s story published. Keil did not respond to an emailed request for comment. The aim of the complaint filed this week was to head off Keil’s efforts, and Magic Leap felt it had nothing to hide, according to a person with knowledge of the company’s reasoning behind the preemptive suit. Growing pains or red flags? Given Magic Leap’s fast growth, some level of turmoil is to be expected. In fact, one person familiar with Magic Leap’s operations downplays the significance of the incidents. “It’s growth pains. That happens when you quadruple in size every year for five years,” the person said. The race to bring its product to market has resulted in a $US50 million per month burn rate, according to a separate person familiar with the matter. And the allegations of financial shenanigans raise questions about its ability to manage its finances and operations, even as it seeks to raise more cash. Magic Leap filed paperwork authorizing it to raise up over $US1 billion in its most recent round, and it has continued to seek investment. German media giant Axel Springer, Business Insider’s parent company, said it invested an undisclosed amount in Magic Leap last month. Magic Leap is currently in talks with Saudi Arabia’s Public Investment Fund for an investment which could total as much as $US400 million, the Financial Times reported. PIF did not return Business Insider’s request for comment. Magic Leap is not just designing computer hardware and glasses. It also has a large content operation called Magic Leap Studios, with hundreds of employees. And it’s getting closer to finally releasing its product. CEO Abovitz confirmed last month that Magic Leap will release a “creator version” of its smartglasses before the end of the year. The smartglasses are called Lightwear, and they attach with a cord to a pocket-sized computer and battery, called Lightpack. How do the glasses perform? Nearly everyone who has tried Magic Leap’s demo has said it is amazing. However, discussion of the experience is limited by a required non-disclosure agreement. Even Adam Silver said he was constrained from discussing the experience because he signed an NDA while he discussed the NBA’s partnership with Magic Leap at a Recode conference last month. “I’ve signed the NDA too, so I’ve seen the first generation of it,” Silver said. The company still has some big hurdles to overcome. 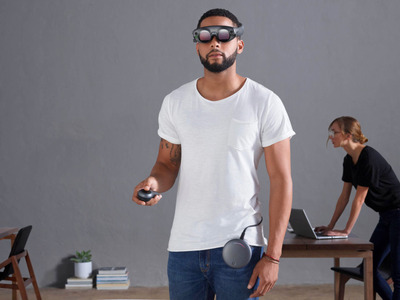 One current issue with the headset is battery life and charging; the device doesn’t charge while it’s plugged in and being used at the same time, according to people familiar with Magic Leap’s hardware. Solving this issue is important to ensure that people could continue to use the device while it’s plugged in. Magic Leap also needs to ensure that there is a strong and steady pipeline of interesting apps and experiences for early adopters of its glasses. That’s a lot to deal with, even without lawsuits and police reports.